The Vitality Shampoo and Tonic Hair Mousse are two hair care products containing active ingredients for youthful hair which protect your hair and scalp and treat many aspect of aging hair. As for the entire Naturena hair care range, these products have been formulated with extracts of magnolia and Lebanese cedar buds. The Lebanese cedar bud is rich in auxins (plant growth hormones). These play an important role in cell division and protein synthesis as well as in cell regeneration and tissue rejuvenation. The magnolia bud extract has antioxidant and soothing properties. It also reduces the fragility and permeability of blood capillaries important for microcirculation. The latter play an important role in improving nutritional intake around the hair bulb. Our hair care formulas with protective active ingredients for youthful hair also contain sunflower seed extract. Sunflower seeds are particularly rich in polyphenols which display powerful anti-radical properties and are rich in minerals, vitamins and trace elements. With this selection of plant active ingredients specially suited for hair care and by using our new high-tech extraction process which preserves the plant properties, these products are efficient for youthful hair treatments. Sunflower seed are particularly rich in minerals, vitamins and trace elements. The oil extracted from sunflower seeds is mainly composed of unsaturated fatty acids containing very valuable essential fatty acids - omega 3 and 6 – vital for a good health. Of all vegetable oils, sunflower oil has the highest vitamin E content. The sunflower seed extract is rich in polyphenols which gives it high anti-free radical properties. Antioxidants have the power to regulate and even offset the negative effects of free radicals which are strong cell oxidants. UV rays appear to speed up the destruction of the hair surface as well as its internal structure. This leads to the peroxidation of the intercellular cement (which ensures cohesion of the hair scales). The scales start opening and lose the hair proteins. The harmful effects of UV are cumulative. The Vitality Shampoo and Tonic hair mousse both contain active ingredients with protective, softening and antioxidant properties. They help fight many aspects of aging hair. The Tonic hair mousse is a no-rinse express hair care. Its light styling mousse is enriched with natural active ingredients with regenerating, softening and stimulating properties as well as providing UVA protection. This hair treatment can be used as a daily treat for your hair. Its gentle, lightweight formula provides volume by coating your hair fibre. Try this mousse for a new experience. 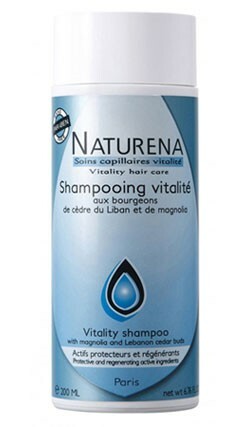 The Vitality shampoo has a pH below 6.5. It is free from silicone and dyes. 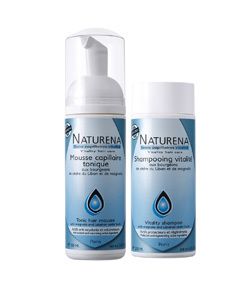 It contains a complex of plant active ingredients which has regenerating properties, activates microcirculation of the scalp and protects and heals against UVAs adverse effects. 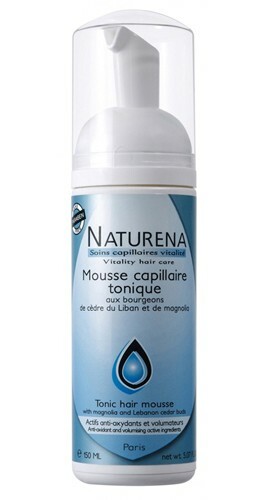 It is a multi action hair treatment concentrate. Why a range for youthful hair ?